The AFE Replacement Air Filter for Audi 8P A3 replaces the factory paper air filter with an extra durable cotton gauze filter. 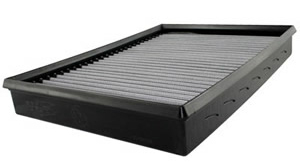 Replace the low-quality factory paper air filter with the AFE Replacement Air Filter for Audi 8P A3. 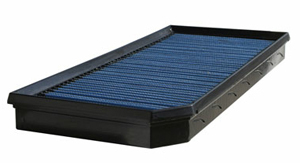 The high quality cotton gauze filter media used on the AFE Replacement Air Filter provides an extra durable air filter that will last many, many years while providing the engine with maximum airflow to help maximize performance. The AFE Replacement Air Filter for Audi A3 is also washable and reusable, saving you money since you won't have to replace your air filter again.